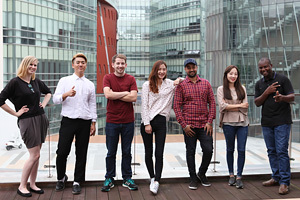 The Division of English Studies department—the first to implement an innovative, groundbreaking all-day English learning program in South Korea—is internationally recognized for its twenty-first-century language programs while maintaining its rich history and tradition. Department of Chinese Language Studies aims to produce professionals with all-inclusive knowledge of China’s past, present, and future in politics, economics, society, culture, and history. The curriculum is designed around practical, everyday conversational language use. After completing the first year of basic Chinese courses, students will learn from native speakers and engage in various learning environments including discussion, debate, and presentation. Our mission is to produce professionals with sound academic understanding of Japanese language and culture, which is built on language proficiency, and practical knowledge of Korea Japan relations pertaining to culture, economics, and history. Established in 1978, the department produced its first batch of graduates in 1982. Through organizational and structural changes in Techno-Administration, Digital Administration, Business Administration majors, we have come to our current state of affairs. In order to enhance the quality of business administrative education, we have focused on being recognized externally for educational excellence and redoubled our efforts in providing high quality education internally. Business management environment is rapidly changing in line with fast-paced development of computer and information communications technologies. These developments and changes not only give rise to new industries but also have become an important element in determining core competitive strategies. 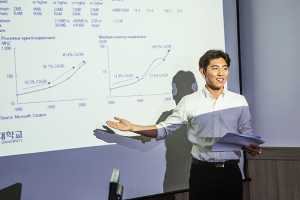 The Global Korean Studies Department was established to produce international experts on Korean studies who have a deep understanding of Korea and are able to promote Korea. 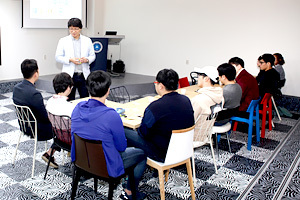 The department offers a variety of theoretical education, cultural experience, on-the-job training, and internship training to cultivate professionals who are experts in promoting Korea, the language, and cultures. 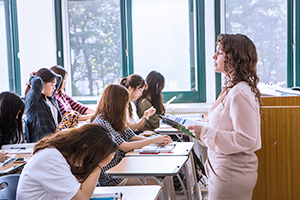 For Korean students, the education curriculum has been upgraded to include classes on cultural planning, cultural information planning, cultural policy development, and cultural business planning. We provide various language programs to international students so that they may better understand Korean culture and better promote Korea.